It is said that cloud computing is improving business agility because of the ability to rapidly and inexpensively provision technological infrastructure resources on a pay-per-use basis. So customers are urged not to buy and own hardware and software for themselves but instead they should make use of cloud computing services that are offered by the cloud computing providers. To put it another way, what is the point of owning hardware and software? Because the only thing you want to do with it is using it at the time you need it. The cloud computing proposition of on-demand delivery on a pay-per-use basis more or less removes the necessity to possess hardware and software. But is this XaaS wisdom, “X-as-a-Service” as preached by the cloud computing providers also used by them selves? An datacenter is an assembly of software, computer servers, storage, networks and power and cooling/air handling components. With these means the cloud computing provider assembles its cloud computing services. But is there a need for these providers to own these components? 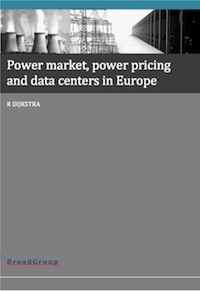 Can a datacenter and thus a cloud computing proposition be assembled by a set of software, computer servers, storage, networks and power and cooling/air handling services provided by third parties? The emphasis on services rather than goods is a central idea of the new industrial model, circular economy, that is now gradually taking shape. 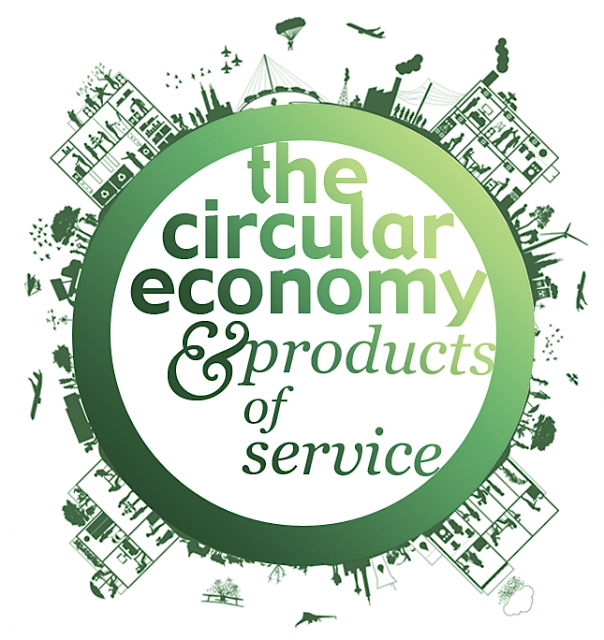 Circular economy draws a sharp distinction between the consumption and the use of materials. It is based on a ‘functional service’ model in which manufacturers retain the ownership of their products and, where possible, act as service providers—selling the use of products, not their one-way consumption as in the current industrial model of linear economy. In this new industrial model the goal of manufacturers is shifting; selling results rather than equipment, performance and satisfaction rather than products. An example of this new approach is Philips, the global leader in LED lighting systems who has recently closed a deal with the Washington Metropolitan Area Transit Authority (WMATA) to provide 25 car parks with a LED lighting service. Philips will monitor and maintain the lighting solution based on a lighting-as-a-service model (Pay-per-Lux model). As expressed by Philips the implications from a business process perspective are profound. Out the window goes the traditional, linear approach to resource use: namely, extract it, use it and then dump it. Instead, management focus turns to principles such as re-manufacturing, refurbishment and reuse. Another example is InterfaceFLOR. As part of their drive to increase the inherent level of sustainability of their business, they do not sell the carpet as a product, they lease it as a service. That is supply, install, maintain and replace the carpet. Back to the cloud computing provider. 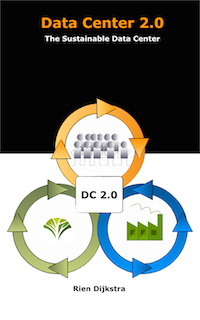 Why bothering on the life cycle management of all the components you need? Why the burden of managing the buying, installing, maintaining, replacing, decommissioning processes? Why not doing what you preach to your customer and start using the X-as-a-Service model for your own needs? Cloud computing, which is part of the widespread adoption of a Service Oriented Business approach, becomes pervasive, and is rapidly evolving with new propositions and services. Therefore organisations are faced with the question how these various cloud propositions from different providers will work together to meet business objectives. Sixty percent of respondents view cloud computing as a natural evolution of IT service delivery and do not allocate separate budgets for cloud computing projects. Despite the increased cloud computing activity, 83% of respondents are facing significant roadblocks to deploying their cloud computing initiatives, a 9% increase since the end of 2012. IT roadblocks have declined to 15% while non-IT roadblocks have increased to 68% of the sample, mostly related to people, processes, politics and other organizational issues. Consistent with many other enterprise cloud computing surveys, security is the biggest pain point and roadblock to cloud computing adoption (30%). Migration and integration of legacy and on-premise systems with cloud applications (18%) is second, lack of internal process (18%) is third, and lack of internal resources/expertise (17%) is fourth. It looks like that many organizations believe in a fluent evolution of their current IT infrastructure towards a cloud computing environment. Where on the other hand, right now, organisations are facing significant roadblocks. Remarkably in the top four of roadblocks that are mentioned in this study, one very important roadblock is missing. Improved IT interoperability and portability. A competitive and transparent cost model on a pay-per-use basis. The quiet assumption that the service provider act on behalf and in the interest of the customer. So with cloud computing you could get rid of the traditional proprietary, costly andinflexible application silos. These traditional application silos should be replaced by an assembly of standardised cloud computing building blocks with standard interfaces that ensures interoperability. But does the current market offer standardized cloud computing building blocks and interoperability? Each standard service offering (SaaS, PaaS, IaaS) has a well-defined interface. The consequence of this is that the consumer can’t manage or control the underlying components of the platform that is provided. The platform offers the service as-is. Therefore the service is an IT commodity service, customization is by definition not possible . But is this a realistic picture of the current landscape? 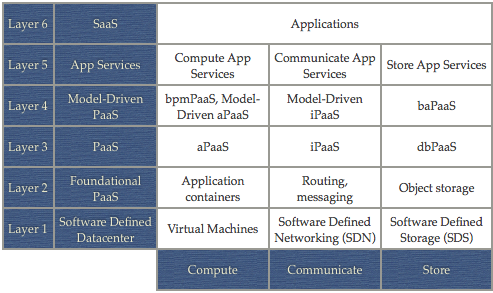 In reality the distinction between IaaS, PaaS, and SaaS is not so clear. Providers are offering all kind of services that don’t fit well in this 3 flavor scheme. Johan den Haan, CTO of Mendix, wrote a nice blog about this topic where he propose a more detailed framework to categorize the different approaches seen on the market today. Besides a more granular description of cloud computing services, a distinction is made between compute, storage , and networking. Which aligns very well with the distinction that can be made from a software perspective; behavior (vs. compute), state (vs. storage), and messages (vs networking). The end result is a framework with 3 columns and 6 layers as showed in the image below. Cloud Platform Framework. Courtesy to Johan den Haan. Layer 4: Model/process driven deployment of code. While layer 2 is focused on application infrastructure, layer 3 shifts the focus to code. In other words: layer 2 has binaries as input, layer 3 has code as input. The framework shows the complexity organisations are facing when they want to make the transition to cloud computing. What kind of interfaces or API’s are offered by the different cloud providers are they standardized or proprietary? What does this means for migration and integration? Clouds cannot yet federate and interoperate. Such federation is called the Intercloud. The concept of a cloud operated by one service provider or enterprise interoperating with a cloud operated by another provider is a powerful means of increasing the value of cloud computing to industry and users. 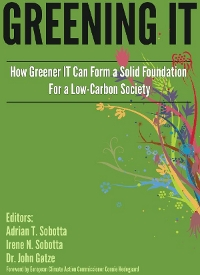 IEEE is creating technical standards (IEEE P2302) for this interoperability. The Intercloud architecture they are working on is analogous to the Internet architecture. There are public clouds, which are analogous to ISPs and there are private clouds, which an organization builds to serve itself (analogous to an Intranet). The Intercloud will tie all of these clouds together. Intercloud Gateways; analogous to Internet routers, connects a cloud to the Intercloud. 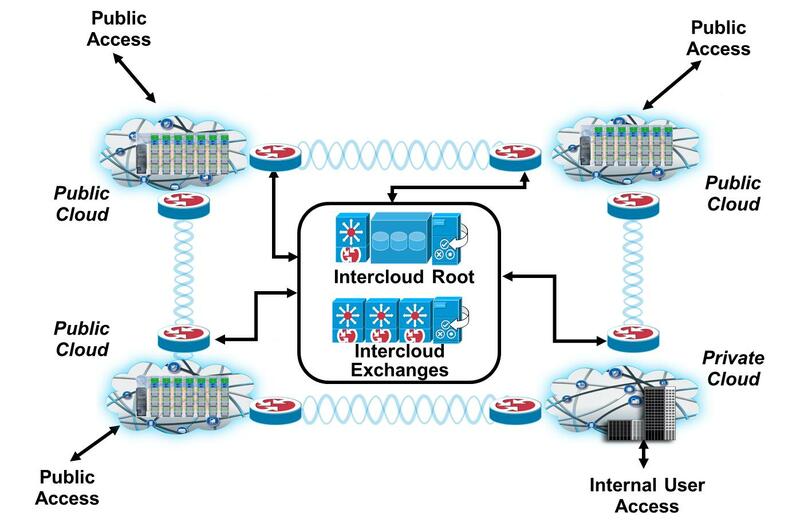 Intercloud Exchanges; analogous to Internet exchanges and peering points (called brokers in the US NIST Reference Architecture) where clouds can interoperate. Intercloud Roots; Services such as naming authority, trust authority, messaging, semantic directory services, and other root capabilities. The Intercloud root is not a single entity, it is a globally replicated and hierarchical system. 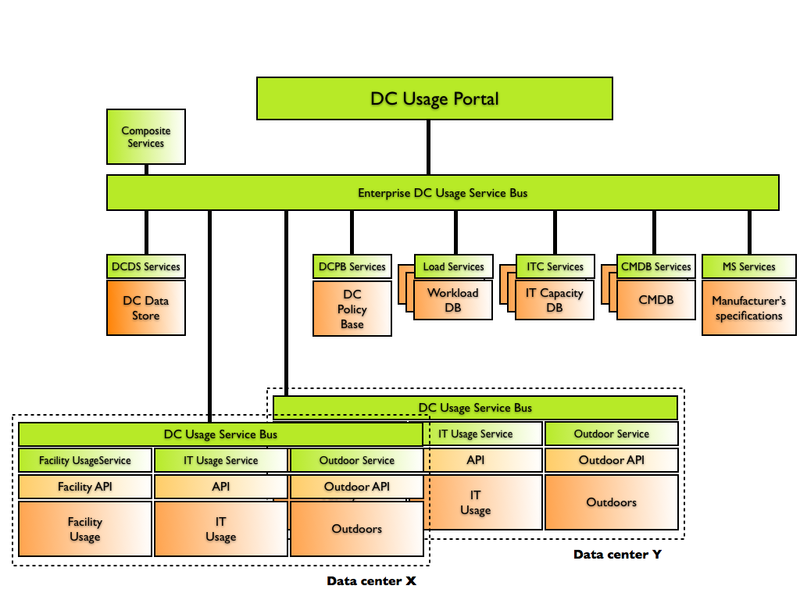 InterCloud Architecture. Courtesy to IEEE. Horizontal lock-in; restricted ability to replace with comparable service/product. Vertical lock-in; solution restricts choice in other levels of the value chain. Inclined lock-in; less than optimal solution is chosen because of one-stop shopping policy. Generational lock-in; solution replacement with next-generation technology is prohibitively expensive and/or technical, contractual impossible. Developing interoperability and federation capabilities between cloud services is considered a significant accelerator of market liquidity and lock-in avoidance. The cloud computing market is still an immature market. One implication of this is that organisations need to take a more cautious and nuanced approach to IT sourcing and their journey to the clouds. A proper IT infrastructure valuation, based on well-defined business objectives, demand behavior, functional and technical requirements and in-depth cost analysis, is necessary to prevent nasty surprises . 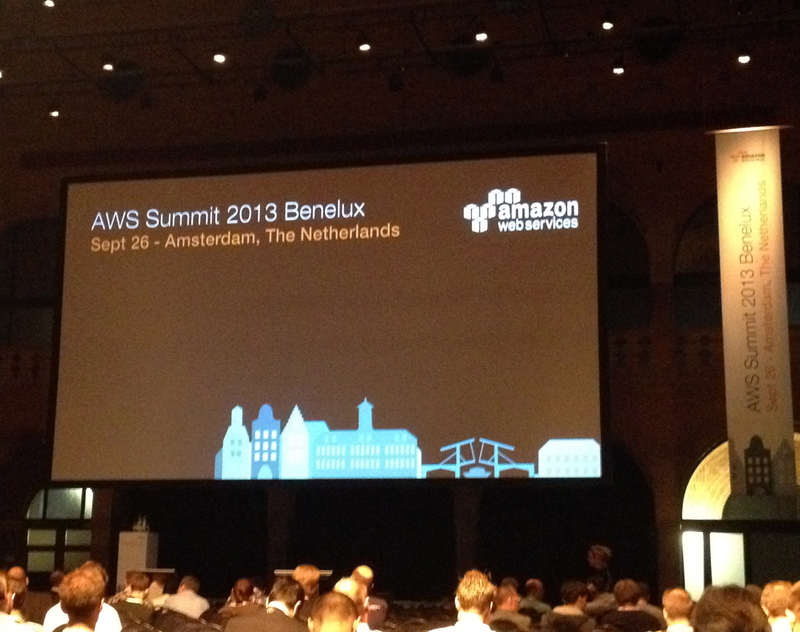 Last week I visit the Amazon Web Services Summit that came to Amsterdam for the first time. The kick off of this event was made by the CTO of Amazon, Werner Vogel, with a keynote introduction. He gave a short summary of Amazons success story of seven years young. Boasting on 34 price reductions since 2006 and the delivery of 33 services to 100000 customers in 190 countries. All based based on the circle of More AWS Usage -> More Infrastructure -> Economies of Scale -> Lower Infrastructure Costs -> Reduced Prices -> More Customers -> More AWS Usage -> and so on. Elasticity; by dynamic (on-demand) provisioning of IT resources to customers, without customers having to worry for peak loads. Economy of scale; with multi-tenancy sharing of resources and costs across a large pool of customers by means of centralization of infrastructure and improve utilization and efficiency. Different cost structure; trade capital expense for variable expense thus pricing based on real consumption (utility computing). Increase Innovation; increase the number of experiments because the very low costs of failure. This cloud computing promise was proved with several examples from different industries. It was very nice to see that these cloud computing features were the leading theme of the summit. Also the other presenters, a combination of Amazon Solution Architects and AWS Customer representatives, gave proof about these features without going in too much technical details. And the quiet assumption that the service provider act on behalf and in the interest of the customer. But are these assumptions always met? In general companies, especially larger enterprises and not start-ups, should check these assumptions when they want to outsource their infrastructure to cloud computing vendors. Horizontal, Vertical, Inclined or Generational lock-in are lying in wait. Nevertheless Amazon was very persuading to live up to their promise. Interested in reading more on sourcing issues? Take a look at the book Right Sourcing: Enabling collaboration or the web site www.sourcing-it.org. Cloud Computing, outsourcing your IT infrastructure? Although IT infrastructure delivers no direct business value, for many organizations information systems are tightly interwoven within the fabric of their primary processes that creates business value. The puzzle is how to source your IT and if Cloud Computing is the solution of this puzzle. Presentation about this subject, following the publication of the book ‘Rightsourcing: Enabling Collaboration‘ ISBN 978-1481792806, can be found at Slideshare.